Creating a startup business is both thrilling and frightening. Whether you want to change the world, be your own boss, or financial freedom, being an entrepreneur is a great way to achieve your life goals. On the flip side, how do you avoid becoming another statistic of businesses that close their doors each year? Having a business coach to guide and advise you can help you avoid many costly errors others make. Alan Borges is a restaurant and cafe coach. Click for his website! Sales Ethos’ business coaching helps entrepreneurs to focus on the one thing that matters most at the beginning – finding new clients to serve. By providing accountability and personal guidance, you will have a laser-sharp focus on achieving revenue targets through ethical selling. Our Melbourne based business coaching is held weekly via phone/conferencing tools for 30 mins. The agenda for each session will include weekly goals, obstacles, recommendations, and new action items. You will also be taught proven mental and behavioural techniques to maximise performance. 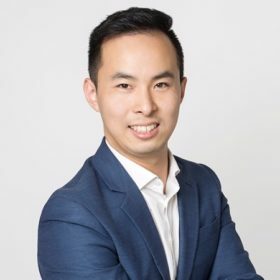 All business coaching sessions will be conducted by Sales Ethos’ director, Ben Lai. Included with the package are monthly live sales training seminars. These sessions will provide the framework for maximising time spent at business coaching sessions. The knowledge you will gain from our workshops will help you in every area of your business for the rest of your career! I’ve worked with several sales coaches in the past and Ben’s training is a cut above the rest. I find his gentle (aka non-pushy) yet assertive approach to selling very helpful – highly recommended. Ben is an excellent business coach to work with. Highly recommended. Ben’s personal approach, combined with his simple examples make his sessions very practical. We were able to implement his presentation strategies straight away. You’re a wealth of knowledge! I have no hesitation in recommending Ben’s classes and sales coaching. How do you know there an established market need for your product? How do you want to make a difference and impact on your clients? Depending on your answers to the questions, we can mutually determine if there is a good fit for us working together. To this end, we would be happy to offer you a complimentary strategy session. At this meeting, we will help you set sales goals for your business with our sales guide as our gift to you. How do I choose the right business coach for me? 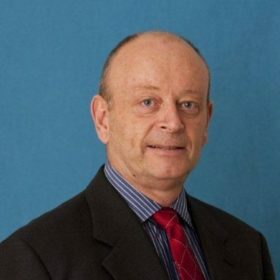 There are many great business coaches available in Melbourne. Each has their own unique experience, knowledge, and strengths. Our speciality is in finding and selling to your first clients. This approach is certainly not right for everyone, and we do not offer advice to do with subjects such as exit planning, hiring staff, or marketing. For each of these fields, we can refer you to great coaches in our network. Look for a business coach that values the same things you do. Their ethos must fit your personal ethics to ensure you can actually implement what they ask. Ask yourself – “Does this coach understand the impact I’m trying to make?” and “Will their advice fit with my core beliefs?” If the answer is “no” to either of these, you may want to consider other alternatives. Since our beginnings, we noticed that many startup businesses were tired of paying premium fees to coaches who brought about little to no results. Additionally, for those that had low to no charge, that their advice had little impact. Neither of these groups had anything to lose if their clients were not successful! At Sales Ethos, we believe that as a partner in your business, that we should bear some of the risk in the arrangement. Some questions you can ask include: “How will you share the risk if things don’t work out?” and “Can you tell me about clients where things didn’t work out?” and “Why didn’t it work with them?” These questions are tough but fair, and should be asked to reduce your risk when choosing a startup business coach. Startup business coaching must be practical and motivating. Knowing what to do is often not enough – your business coach must also know how to spur you into action. Oftentimes this requires a good understanding of human behaviour, psychology, and life-hacks to be effective. Sales Ethos researches widely on these subjects to ensure that we understand the emotional struggles you go through, and how to overcome them. Questions you may want to ask include “How much experience have you had coaching startup businesses to success?” and “What results have you achieved with similar individuals?” Choose a business coach that has proven and holistic results. What’s different about Sales Ethos’ business coaching? At Sales Ethos, integrity is king. Our word is our bond, and we will do everything we can to be transparent and act in your best interests. Our approach to business coaching focuses primarily on revenue generation which is critical for the startup. We excel on sales strategies that have been tested, proven, and validated by third party research. Sales Ethos’ business coaching is also holistic, taking an inside-out approach to your development. We stand by our philosophy that you as a client need to make much more than the fee we charge. To that end, we offer a structure in which we share some of the risk should the arrangement not work out. Where is Sales Ethos’ startup business coaching held? Sales Ethos’ startup business coaching is primarily conducted over the phone. Conferencing tools such as Skype are also available if required. If you are able to travel to our premises in the Waterman Business Centre Chadstone, this can also be arranged. Click here for our address. Fiona started her pet siting business because she loved animals. With a limited network and few clients, she soon realised that she needed guidance on how to acquire new clients. Fiona needed help marketing her pet sitting services; she needed a business coach in Melbourne. Without any intervention, the longevity of the business was in question. Fiona engaged Ben Lai from Sales Ethos to be her business coach. Together, they set goals for generating new income. In addition, they discussed marketing and sales strategies to meet that goal. 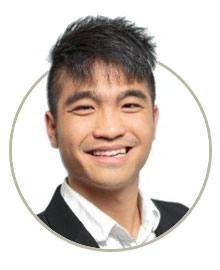 Ben Lai helped Fiona to properly set her prices appropriate for a professional pet and dog sitter. Having the correct pricing point proved critical for her brand image, positioning, and income. In addition, Ben taught Fiona how to be more assertive and believe in her own value. Next, Sales Ethos assisted with the creation of fionaspetservices.com, which now serves as a lead-generation and positioning tool. From its creation until time of writing, it has climbed Google ranks slowly but steadily for local searches for pet and house sitting services. Over several months, Fiona’s income increased proportionately to her self-confidence. Having the right marketing and sales strategies enabled her to enjoy the selling process more. Further, Fiona regularly received leads from various lead-generation sources. She is now enjoying a steady flow of new and repeat business. Fiona’s Pet Services provides pet sitting services, dog sitting services, dog walking services, and house sitting services. Based in Glen Iris, Fiona also cares for furry family members in surrounding suburbs. Book your complimentary sales strategy session today!